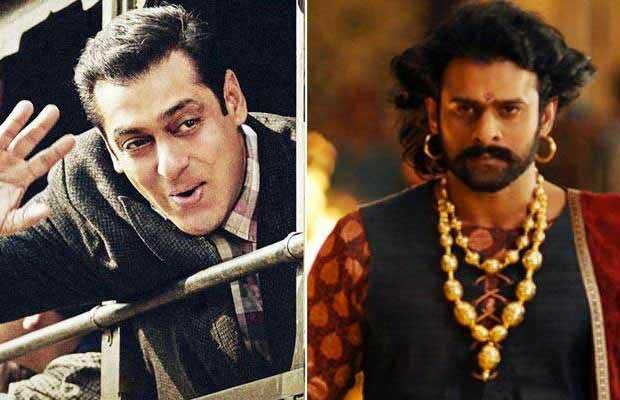 Home BOLLYWOOD Box Office: Baahubali 2 -The Conclusion Dominates Despite Salman Khan’s Tubelight Release! Box Office: Baahubali 2 -The Conclusion Dominates Despite Salman Khan’s Tubelight Release! Baahubali 2 continues to rule the box office even after nine weeks despite Tubelight’s release. Bollywood actor Salman Khan’s recently released film Tubelight has received a mixed response and the film is doing business below the expectations. On the other hand, Baahubali 2 – The Conclusion (Hindi) is still continuing to run in the theatres despite the release of Tubelight. Other recent releases Bank Chor and Hindi Medium are out of the theatres due to Tubelight but Baahubali 2 continues to dominate like a boss even after nine weeks of its release. The magnum opus has earned around Rs 25 lakhs (5 days) in the ninth week, which is pretty good to prove that audience is still choosing to watch Baahubali 2 over Salman Khan’s Tubelight. So far, Baahubali 2 has done a total business of Rs 509.50 crore net and a gross collection of Rs 711.50 crore in India. On the other hand, Tubelight collected Rs 20.75 crore net approx on day one and Rs 19.75 crore (197.5 million) net approx on day 2. However, the total weekend business turned up well, eventually. The film did a business of Rs 22.25 crore (222.5 million) net approx on day three, which takes the totally three days collection to Rs 62.75 crore (627.5 million) net approx. Tubelight collected Rs 18.50 crore net approx on Monday and has done a business of Rs 11.75 crore (117.5 million) net approx on first Tuesday. The total 5 days collection of the film is around Rs 93 crore (930 million) net. Well, if the content of the film had done exceptionally well, the collections could have been on a different level altogether. Nevertheless, Tubelight has entered 100 crore club with its worldwide business and it remains to see what lifetime business of the film would be.